Peaked: Stuff – Next Hipster Trend is what's HAWT, NEXT! These unwanted toys from a trash island floating in the North Pole want you to stop your stuff addiction … and kill Santa. While it’s been happening for a while, people are starting to finally feel the hurt from the sheer amount of stuff we’ve created. The definition of the word itself is worth noting. Stuff (noun) – the material of which anything is made. Given in that context, stuff has this building-block-of-the-cosmos ring to it. I like to think stuff is some kind of base element which can be reformed to make anything. When to need to refer to anything, you can use the word stuff. “Hey get your stuff out of my house!” or “I have the stuff, do you have the money?” Now, unless you believe in creatio ex nihilo, stuff is a perquisite for existence. According to Carl Sagan, “we are star stuff” which is a noble way to look at it and we’re currently up to our armpits with all our star stuff. Sure, the Great Pacific Garbage Patch and laws banning plastic bags for single item purchases are important examples of too much stuff but HWTNXT is all about making the obscure relevant so here are other ways to look at the stuff-splosion. The rapid rise of self storage – According to the Self Storage Association,”Some 65% of all self storage renters have a garage but still rent a unit; 47% have an attic in their home; and 33% have a basement.” Many people just walk away, leaving their stuff to star in “reality” television. On average, English kids own 238 toys but only play with 12 daily. That’s 5%! 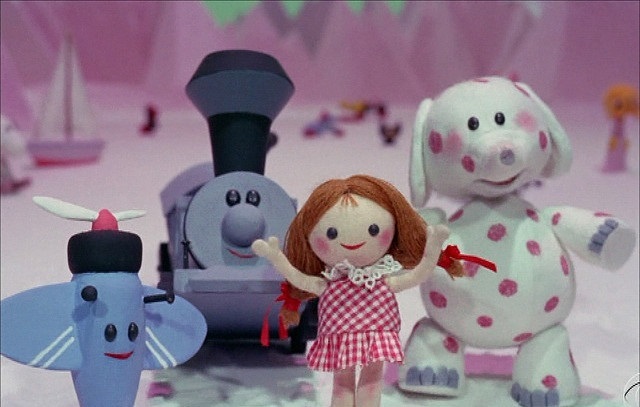 Now we know the secret truth about the origin of the heartbreaking and dysfunctional “Island of misfit toys” from the classic Rankin/Bass Rudolf television show. BTW, I’m the jelly shooting squirt gun! How2HAWT: So what to do about this? Well, thankfully the Swedish have a good idea, it’s kind of an anti-Ikea idea, Start repairing stuff. In his misguided 1932 stuff-ifesto “Ending the Depression through Planned Obsolescence“, Bernard London advocates for making stuff cheaply to save ourselves. It lead to a institutionalization of disposability and the tragic death of the fix-it-men. Case in point, my Fisher / Paykel dual drawer dishwasher. I have steadfastly refused to allow this thing to give into it’s makers idiocy of design and potentially despicable intentional failures. I’m proud to claim that I’ve repaired or replaced every internal component of this Kiwi beast. I have accepted the greasy mantle of fix-it-man and I will not allow my dishwasher to be a testimony to the discardable. So DO YOUR PART! Grab those tools, set up a workbench, toss that lamp up on it and start fixing it. Thats HAWT! ← Rearing Up: Centauring It! Soap making: OVER!, Soup making is poised!